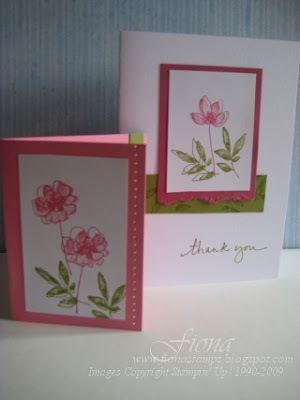 Fiona stamps ...: Better late than never! 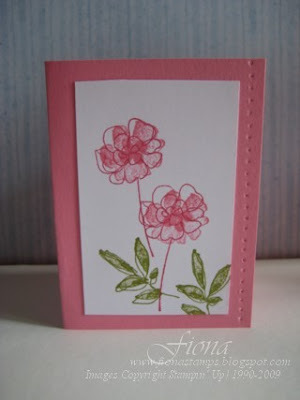 Such a sweet set and once again so quick and easy to create a beautiful card. So I thought I'd post photos of what I've been doing with them, anyway. Colours are Rose Red, Regal Rose, and Old Olive.